I posted a survey to get ideas for zEdit here (and elsewhere) a few weeks ago. GamerPoets made a video going over the survey results, which you can view here. This release includes a new application mode for cleaning plugins (zClean), advanced record search/filtering functionality, a referenced by view, tab icons and dynamic labels, and more. This release brings documentation, record copying functionality, extension management, and more. This is a hotfix release which fixes several bugs and UX issues that were reported to me shortly after v0.1.0 was released. This release should finally fix all of the issues with FO4/SSE load order handling. This release includes a bunch of fixes and new features. The release is pretty solid and includes really some exciting new systems. The release also adds support for custom application and syntax themes. I included a dark theme which I put together myself as well as a bunch of syntax themes which were included with CodeMirror. A single Manage Patchers modal where a user can adjust the settings of their patchers, disable patchers, and build patch plugins. Patchers can register tabs here with an HTML template and an angular controller. A highly structured patcher format which makes creating patchers faster and less repetitive. jdsmith2816 is currently working on porting the ReProccer to use UPF. He has Armors, Alchemy, and Projectile patching done and mostly tested, and is currently working on the last part of the patcher, patching Weapons. Today I released an alpha of zEdit to start getting direct feedback and ideas from the community. This release is nowhere near feature complete, and will have its fair share of bugs. You have been warned! I have written some very extensive release notes on the release page on GitHub. I don't expect anyone to actually read all of it, but they're there so you can check to make sure whether or not I know something is broken before letting me know. Special forms for editing certain fields such as colors, enumerations, and multi-line text. More functionality is on its way. EDIT: Builds updated to fix a problem with a missing dependency, causing the XEditLib.dll missing error. If you downloaded in the first 30 minutes this was posted redownload the application or download and install the dependency into its folder. I started working full time a few weeks ago, so I have less time to work on zEdit. This caused the v0.2.0 release to take considerably longer than initially planned (from 1-2 weeks to 1 month). New releases will likely be monthly/biweekly going forward. zEdit development will continue, but it will be slower. This would be a good time for any developers who are interested in the project to make a commitment to contribute to zEdit more often! You can report issues here or on the GitHub repository and you can track my progress on zEdit's public Trello board. 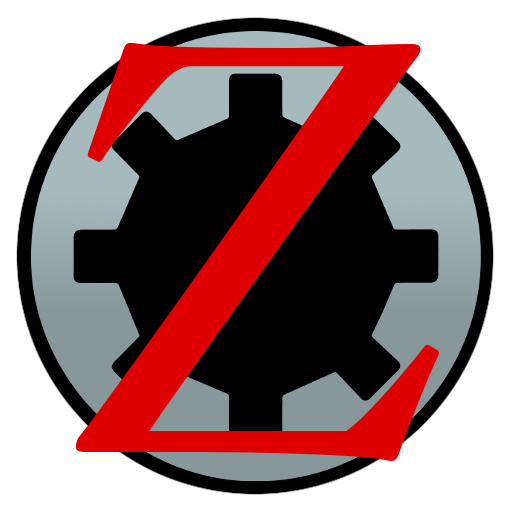 You can get updates on zEdit and chat with me or other developers on the Modding Tools Discord Server. If you're a developer and interested in contributing, send me a message and we can find something for you to work on. Edited by Mator, 20 November 2017 - 09:07 PM. Seems I'm almost as crazy as you are! Yes, I did read all the release notes. Grabbing a copy now to see what you've done. Edited by Mator, 01 September 2017 - 02:39 AM. v0.1 released, see the updated OP for details! v0.2 released, see the updated OP for details! I'm curious if a feature is planned (or already implemented). For this example, say am I patching for a series of the same record types, such as Ingredients. (say "PFIG - Ingredient"), and click "OK". The program then forwards all selected records from pluginA to pluginB, of the chosen field name(s). This would make manual patching a lot faster when patching two mods that alter the same records. I hadn't thought of this yet, but it's definitely something that could be built. I was patching Flora Respawn Fix and Harvest Overhaul when this idea came up. It would have made patching those mods take one minute instead of ten. v0.3 released. See the OP. Didn't get the chance to build your feature request Tech, but I'll get it for the next version. Since you're familiar with the framework, is there any way to replicate the Creation Kit's process for converting mods from Form 43 to Form 44 (classic Skyrim plugins to SSE plugins) using zEdit? Did you try to load SSE plugins into old CK and save there? I suppose you will lose critical data on weapons because this is the only place where data structure has changed instead of new SSE values being appended. Yes, I know of the process for converting plugins with the CK. I was hoping for something with not as much overhead as the CK. Porting over plugins which have several masters can be a time consuming process when you're doing a lot of them. I don't know what all the CK is doing to the plugins so I thought I'd ask if it was something which could be replicated with xEdit/zEdit (less overhead and faster). I don't know what all the CK is doing to the plugins so I thought I'd ask if it was something which could be replicated with xEdit/zEdit (less overhead and faster). No, data definition of records in xEdit are tied to the game mode (name of the xEdit executable), not to the actual Form Version field like in CK.